My brother's family and I took a Tobago Snorkeling trip. 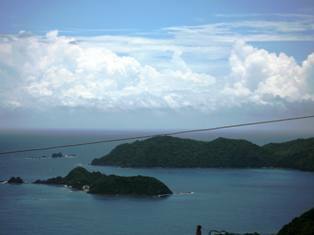 Tobago is the tiny island just North East of Trinidad. 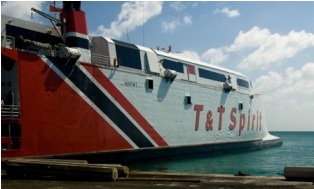 If you are traveling from Trinidad to Tobago, you can take the Inter Island Ferry which is approximately 2.5 - 3 hours or a Caribbean Airlines flight approximately 15-20 minutes. 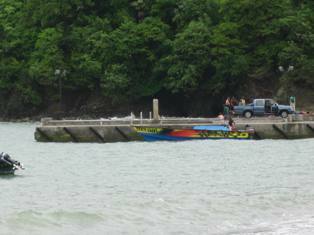 We took the ferry service which allows you to take your car on-board. If you are visiting Tobago without a car, I do suggest that you rent a car. I have personally rented a car with Tobago United Rentals, the owner is well known on the island as "Whatty". If you're already in Tobago, then get your map out and hit the road! 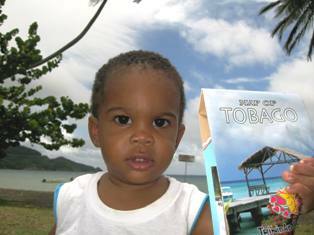 When we got to Tobago, we decided to go to Speyside first. It is a very hilly drive that took us about 45 minutes but the scenic drive was well worth it. We finally got to the Speyside lookout, that overlooks the Atlantic Sea, the view was absolutely breathtaking! After taking photos we drove downhill into the town of Speyside as we approached the pier, I realised that Coral Cay Conservation (CCC) volunteers were just returning from their dive! They told me that a manta ray was swimming just off the pier (pretty close to the shore) and asked if I wanted to jump in for a snorkel with it! They didn't have to ask me twice! It only took a second to grab my snorkeling gear and put my camera's underwater housing onto my Canon PowerShot SD900. 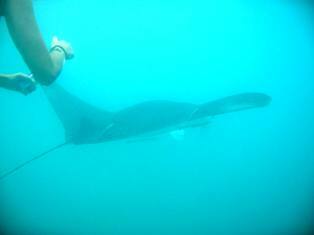 Gosh... when we finally saw the manta ray, I got so excited because it was just within an arm's length!! It's wing span was about 2 metres and approached the surface allowing us to swim along with it. But it was so exhilarating to snorkel with the manta ray only a few metres off shore. We returned to the pier, I bid farewell to my CCC friends and continued exploring Speyside. It was a great, unexpected adventure in Speyside....but there are many more wonderful Tobago snorkeling spots to uncover!